The Kids Did It and The Mommy Island. Check out all the bloggers and their giveaways in the linky at the bottom of the post. Hop around or enter them all! If you are one of my regular readers, thank you! 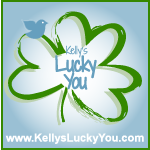 I appreciate each and every one of the people who use Kelly’s Lucky You to find out about the newest, latest products (and some old favorites) that will make your life easier, better or more fun. If you’re new here, I have to warn you – you’ll find yourself saying, “I’m so lucky I found that!” when you read about some of my favorites. 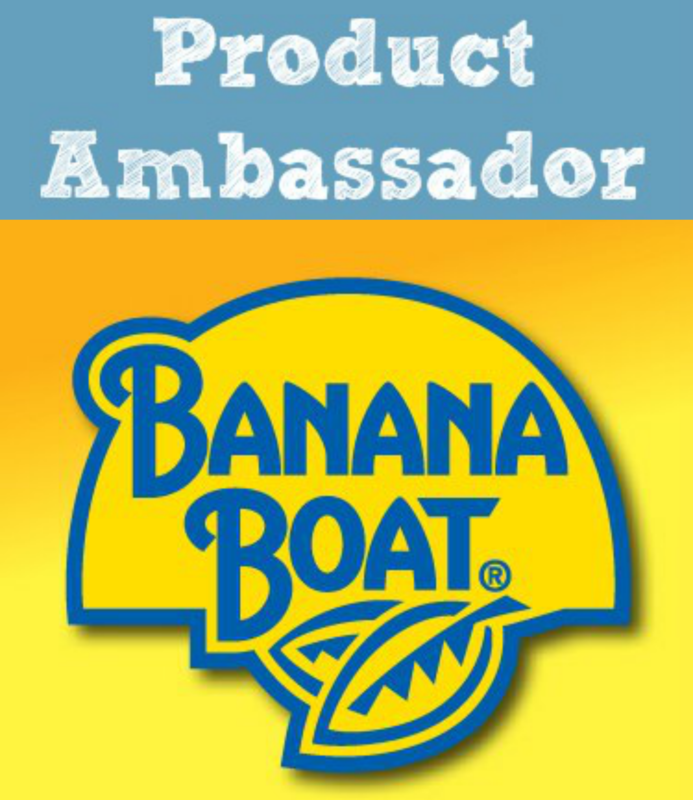 I try to do as many giveaways as I can, in addition to a product review. Followers of KLY (on twitter, facebook, etc) can enter in seconds on Rafflecopter, can just click your way through the entries. Don’t miss another giveaway, subscribe here. then check the slider on the home page. The prize here at KLY for the September To Remember hop is The Walking Dead T-Shirt or $25 Paypal Cash!! Are you as excited as I am for the return of The Walking Dead next month? I can’t wait! Last season left us wondering who Negan was going to kill…. do you have a theory? And the next season will introduce Ezekiel and The Kingdom! If you are not a Walking Dead fan or if you live outside the US, there is still a prize for you, no worries. 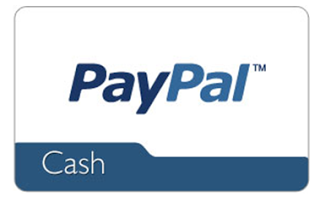 You can choose the $25 Paypal Cash. I am the only Walking Dead fan in my house so I understand if it’s not one of your favorites. In fact, Melissa McBride warned fans not to watch the Season 7 premiere episode alone, so I’m not sure what I’m going to do. May have to go to a friend’s house! Where will you be watching from? 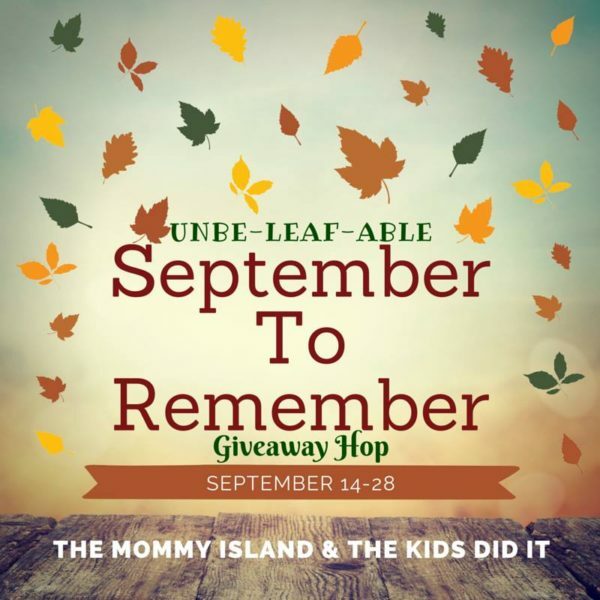 After you enter here, be sure to hop around to the other participating blogs! I really don’t know who Negen killed. I’m excited about the approaching season and wasn’t terribly upset that I had to wait all summer. My theory is that Negan killed Abraham. I’m also worried that Maggie will lose her baby :( I can’t wait to find out what happens next month! I agree with you… I just watched the finale again and I’m thinking Abraham. Less than a month and we’ll know! I don’t watch The Walking Dead. I can’t wait for Chicago Fire to return this fall! I have no idea who Negan killed, but I’m dying to find out! I am a little annoyed we had to wait all summer, but now it’s getting close and I am super excited to watch! I may even have a little Walking Dead party with my brothers to really get into the new season! I don’t watch the Walking Dead, but I have heard it’s a great show. It’s one we will probably eventually watch if it comes to Netflix. As for fall shows, I am excited about the return of Once Upon a Time and The Blacklist. this prize is for my partner, i cant do the walking deads gore… but i cant WAIT for the gimore girls rebooT!!!! I’m not completely decided on who I think got the ax (or the bat, I suppose), but am leaning towards Abraham. They seemed to focus a bit more on him during that episode, which sometimes means the character is on the outs! I’m not upset that we had to wait, but I do hate having to wait SO long in between seasons! Looking forward to October! I’m not sure who he killed. Even though I wished I didn’t have to wait so long for this new season. I can’t wait for the new season to get here. I cannot wait for Grey’s Anatomy to return this fall! I don’t watch The Walking Dead. The TV show I can’t wait for to return this fall is The Blacklist. I tried to leave a comment on your Lasagna Recipe post, but it seems the comments are turned off!? I don’t watch The Walking Dead. 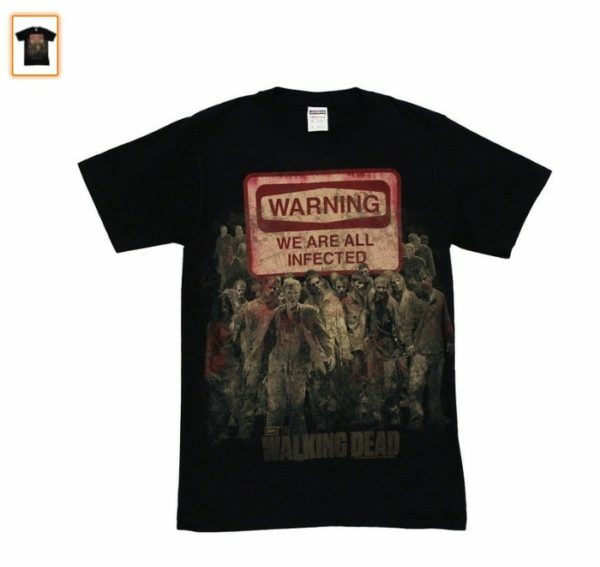 If I won, I’d be giving the shirt to my cousin who is OBSESSED with TWD. Seriously, he just bought a house and his living room is full of TWD stuff. It’s kind of funny. I don’t really follow many new shows, honestly. I’ve been buying a lot of series that have already been cancelled/ended. I cannot wait to see the return of Gray’s anatomy!! I can’t wait for Chicago Fire to return. I can’t wait for Big Bang to return. I also like Switched at Birth and How to Commit a Murder. I love the show Empire. I am addicted to it. Love the walking dead. I just gotta catch up…. I watch too many shows, have not seen TWD. Looking forward to Madam Secretary! I love watching the show, I think he may have killed Glen but i hope not. I was so upset that i have to wait all summer to find out who. I keep watching all the trailers just to see an clues but i really don’t know. All the good stars were on their knees so it’s going to be hard to see any one of them go. Huge fan of the show, but I am not taking a guess on who got killed because they always manage to surprise me! Can’t wait to see the new season. I don’t watch the Walking Dead. My brother loves it , so that’s why I am trying to win. I am really looking forward to seeing the 12 season of Supernatural coming soon. As long as its not Daryl or Glenn ( i mean to kill him now after pretending to kill him earlier would be horrible) and it sucked we had to wait sooooo long. I am thinking it’s Maggie that was killed. I can’t wait for it to come back on! I am not sure but I am thinking he killed Eugene!!!! I don’t watch Walking Dead so not a fan but am looking forward to new episodes of Criminal Minds. I just don’t know. I hope it is not one that we have grown to love. I don’t watch a lot of TV and wouldn’t watch Walking Dead although my husband and son are fans. I don’t watch Walking Dead, not my taste, but I am waiting for the new episodes of The Black List. I just can’t figure out who Negan killed and I can’t wait to find out. I don’t mind waiting all summer for the new episodes. It just makes it more exciting when the show starts up again. I don’t watch much TV. I’m most excited for the return of Supernatural and I can’t wait for the XFiles! Yes I will be so glad when it and my other favorite shows are back! I think it is Eugene. He really stepped up at the end of last season and I think that was to redeem the character before he was killed so we would feel it more. I don’t always watch this show but my boyfriend loves it and sometimes I’ll watch it with him. I generally know whats going on. I’m thinking they killed Eugene. The summer break from this show didn’t bother me. My gut feeling is Eugene and I hate the long wait!! I think it was either Maggie or Glen that met Lucille, I can’t wait to find out . It doesn’t bother me to wait it keeps me excited about having to wait so long . Oh! I don’t watch this, but my daughter does and this is who I am trying to win this for, Iknow I know I need to watch, as soon as I have more time I will do the catch up.. I love this show! It’s been so long that I can’t remember who was all kneeling down when Negan was pointing the gun! All I know is that Rick, Glen, Daryl, Carl, pregnant Maggie, Michonne or Carol cannot die!! So many good characters have already died!! When does the new season start?? I don’t watch the show. I am excited for the new show, Designated Survivor, to debut with Kiefer Sutherland. This fall, I’m excited for The Flash to come back on! I’ve only watched the very first episode of The Walking Dead. I’m excited that American Horror Story has returned for fall. I don’t personally watch many TV shows, so I’m going to say I can’t wait for the Charlie Brown holiday specials to return this fall, lol. Thanks for the giveaway! I don’t watch anymore..gave up too soon maybe. Waiting for Bates. AHS, new IDs like kenda..
I’m very torn on who I think Negan killed. For me I thought Eugene initially but something also makes me feel like it could’ve been Abraham. I haaaaaaated waiting all summer and we still have a few weeks to go, but thankfully the premiere is finally in sight! I feel like it’s been forever! I honestly cannot decide who I think he killed. At first, I thought it looked like it was Carl, but then I thought that was too obvious so I just really don’t know. I’m on pins and needles waiting…!!!! I don’t even have a TV. So I’m not looking forward to any shows. I am praying he only slightly wounded someone cause it would make me cry if he killed anyone! I never watched The Walkign Dead (even though I love zombie books) simply because it#s on sooo late where I live *lol*. But what I am looking forward to is the next season of Quantico. Walking Dead is too scary for me. I’m looking for some Criminal Minds soon! I’ve still got about 6 episode to watch so I’m not going to guess yet. I can’t wait for Chicago Fire and Chicago PD to come back on. Thank you!! I don’t watch walking dead I watch below deck and love that! I don’t know who he killed. I was thinking Glenn but that seems like too big of a character to kill off. I look forward to the start of fall season especially the show, Grey’s Anatomy. I love the Walking Dead and think it will either be Glenn or Abraham. Glenn will be killed to advance the Maggie character and they already prepped the audience for a Glenn death with the whole dumpster scene. Abraham would go now that him and Sasha admitted their feelings. Probably Abraham. Maybe. I’m going to pretend (at least until Oct 23) that it was all someone’s fevered dream. Amazing giveaway!!! Thanks for the chance. I have not seen the Walking Dead yet, not because I don’t want to (all my friends are obsessed) but because I just haven’t had the chance. My favorite show is NCIS and I am excited about it returning this fall (although I am definitely going to miss DiNozzo). I think he killed Glen and if I’m right, I’ll be super pissed. I can’t wait for the new season of The Blacklist. I do watch the show but I’m always a season or two behind because I don’t have cable and watch it on netflix. Don’t watch The Walking Dead. But I am excited for How to Get Away With Murder to come back! I am thinking maybe it was Abraham,since he is the biggest guy in the group and Negan would probably want to get rid of him first.Also,because he said something about taking it like a champ when he hit the person with the bat,so maybe it was Abraham because he is the strongest? Ah,I don’t know,it’s killing me! I can’t wait! I think he killed Abraham and I’m not at all mad that we had to wait the summer. I hope it’s not a disappointing season premier. I’ve only watched a few episodes of the Walking Dead. I liked it, but I don’t have cable. I’m happy for How To Get Away With Murder to return. Ne… who? Oh, goodness. There are so many shows that SO MANY PEOPLE are in love with… and I’ve never even seen a trailer/commercial for any of them. I don’t watch TV– just a little Netflix on very rare occasion. (I used to watch Netflix much more often.) That said, I’m very happy that “Grey’s Anatomy” is still alive and kicking, because I live in a little fantasy-land where that show never, ever ends. I haven’t watched too much of the Walking Dead, but I love the Game of Thrones. I really don’t follow any TV shows! I know hubby can’t wait for Game of Thrones to start again! I hope it was Abraham. After messing with Rosita and Sasha, he deserves it. And I can’t stand to see anyone else go!! I’m really excited for the return of Once Upon A Time. I’ve never seen the show before, but keep hearing it’s good! I can’t wait until The Vampire Diaries comes back. We haven’t watched Walking Dead awhile, we’re catching up on Netflix. I have no idea who Negan is. I think Negan is gonna bash in Eugene’s head because Eugene really doesn’t have a story line right now and he is one character I would be “okay” with losing! Negan is so cute though! :) I’m not mad they make us wait, we know we have to! I was waiting patiently for Project Runway and now I can’t wait for the next SYTYCD! I think it might be Glenn that Negan killed. I hate to even write that because I am a HUGE Maggie and Glenn fan but from everything I have seen about the new season it seems like it may be him. I hope im wrong. But I hate that we had to wait all summer to see who was killed because I am a huge fan of the show and I really like all of the characters in the line up so its going to be hard to see one of them go and waiting this long I think has just made it worse. I wanted to get that part over with lol Its going to be horrible to watch. Im so excited for the new season but that first episode has me worried. Im definatly going to be stocking up on tissues before October 23! Yikes! I can’t wait for 10/23, too! I’m agreeing with you that it’s Glen. Greg Nicotero was on Geeking Out on Sunday and he said that it was going to be bad, get worse, and get even worse. So I’m thinking it’s going to be Glen, then Maggie’s going to lose the baby, then Maggie’s going to die, then Daryl is going to turn against Rick and switch allegiance to Negan (but it will turn out to be a trick to get inside Negan’s organization and he will return to the group at the right time to save them in the future). Yeah, I’m going with that. Greg said that the fans were going to be mad, I think if they kill off Glen and Maggie and turn Daryl into a bad guy, that will make fans furious. What a great show. I am a Walking Dead fanatic. I really am perplexed who Negan actually killed. I dont think it was aa ‘main’ character (yet) but I do think one will go shortly after the show restarts. If Darryl gets it, too many people will go nuts so I am sure he is still standing. But…………. he is on a different show when he should be filming, so who knows. I am terribly ticked we had to wait. I dont watch Fear The Walking Dead I feel like I am ‘cheating’ on the Walking Dead haa! I think Negan killed Glen but it could be anyone. I was so upset at the ending and can’t wait for the new season! I am thinking Abraham, but in the comics I think it was Glen. I can’t wait to watch Girls! My son is the Walking Dead fan around here but I am looking forward to the return of Madam Secretary! I’m trying not to think about it. Thinking about it gives me anxiety fits. My son reads the graphic novels and ‘ hinted’ that it would be Glen. I certainly hope they wouldn’t do that. I am not sure who he killed but I just started season one so I am not that far yet. I think he killed Glenn like in the comics. I still need to catch up on a few episodes. I think that Negan did kill Glenn. It looks quite obvious. I cannot wait to see Scorpion this fall, coming right up. I think Negan killed Abraham! I hated having to wait so long to find out! I can’t wait! !